What Are You Recommending, Barabra Berman? 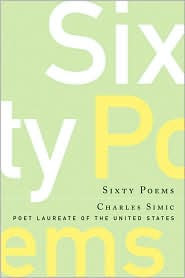 “Charles Simic’s visual effects are heightened by poignant, often harsh details that match the best of Bruce Springsteen, who has credited Flannery O’Connor as inspiration for his brilliant album “Nebraska.” The early and late work of Simic displays similarly acute attentiveness and scene-building that explores inner and outer realms. “Shelley,” from “The Book of God and Devils” is beautifully gritty. As if they, too, had the shivers. "What Are You Recommending, Barabra Berman?" was posted February 16, 2008.